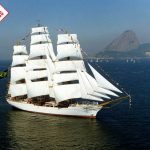 The Brazilian Navy commissioned a new Tall Ship, a three masted clipper, on February 4th, 2000. The ship is appropriately named “Cisne Branco” – White Swan. Her construction was inspired by the design of the last “Clippers” of the 19th century and, under the guidance of the Brazilian Navy, was built in Amsterdam, Netherlands. The Navy’s conception of how its training ships should be designed and employed has changed considerably, mainly due to the increasing technological sophistication of naval vessels. The Tall Ships formerly used, the “Guanabara” used until 1962 (now “Sagres” of the Portuguese Navy), and the “Almirante Saldanha” used until 1964, were the last of their class to sail under the Brazilian Flag. 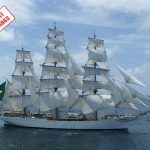 This new Tall Ship, “Cisne Branco”, will not be used for the traditional training voyages of naval academy midshipmen, contrary to what one might imagine. This part of naval academy training will be completed on the training ship “Brasil”, a ship similar to a frigate designed and built in Brazil and technologically updated for that specific task. Nautical events of similar nature occur frequently all over the world. They can always count on the strong participation of the international maritime and naval communities, due to the important role played by the sea in the development of these nations’ peoples and cultures. 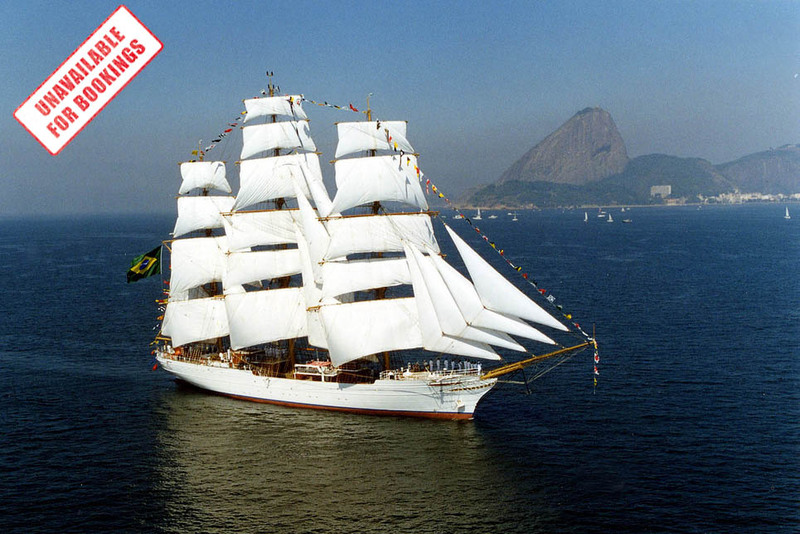 With the new “Cisne Branco”, Brazil became able to participate in events of this type while abroad and in the many ports along its coast. “Cisne Branco” will also be used for training. Although the modern navy is technologically advanced, the essence of seafaring continues to be fundamental navy requirement. It is of the utmost importance that future naval officers and crew members not only know about the latest technological advancements but also know the essentials of seafaring that they will carry with them throughout their naval careers. 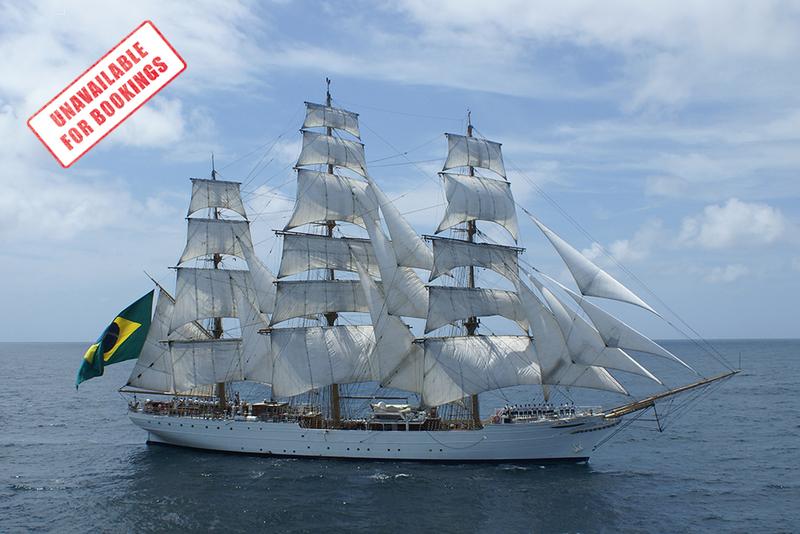 The main purpose of the “Cisne Branco” is to develop and promote Brazilian naval traditions. Therefore it will take part in the most important nautical events, representing the Brazilian Navy, in Brazil and abroad. She was built according to the Clipper project in the late 19th century and her main features are the amount of sails and the fact that she is not too heavy which enables her to sail beautifully. The ship has all the latest technology in navigation and safety equipment and is very comfortable, but all the manoeuvres on deck are done exactly like in the 19th century.